The RocketPort ® uPCI 8-Port SMPTE Rack Mount Interface is discontinued and has been replaced with the RocketPort® EXPRESS 8-Port SMPTE Rackmount Interface (31315-1). This product page is being maintained for product and support information. The uPCI 8-Port SMPTE rack mount interface provides eight expansion ports and works with the RocketPort uPCI SMPTE Card. The RocketPort uPCI 8-Port SMPTE has a convenient rack mount design, a 13 foot cable, and rugged steel housing, offering superior protection. The RocketPort uPCI 8-Port SMPTE Rackmount Interface provides eight ports of serial connectivity when used with the RocketPort uPCI 8-Port SMPTE Card (99515-9). 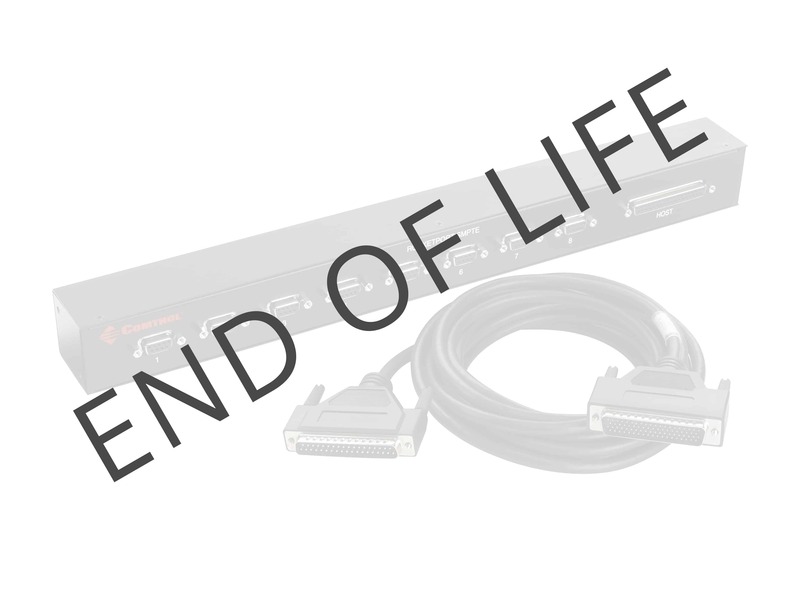 This SMPTE interface is designed to provide SMPTE expansion ports without the clutter and hassle of fan-out cables or multiple interface connectors. It can be stacked or rack mounted, providing a streamlined installation. The RocketPort uPCI 8-Port SMPTE Rackmount Interface provides the equipment interface portion of an overall broadcast system, allowing interconnection of programmable and nonprogrammable control and accessory equipment. It allows rapid reconfiguration of a system utilizing up to eight pieces of equipment. In addition to easy configuration, the 8-Port SMPTE Rackmount Interface supports installation up to 13 feet away from the host PC for optimum flexibility.